The book of Chronicles, the last book of the Hebrew Bible and a central historical book of the Christian Old Testament, has in recent decades gone from being "the Cinderella of biblical studies+? to being one of the most researched books of the Bible. The anonymous author, often simply called "the Chronicler+? by modern scholars, looks back at the old Israelite monarchy, before the Babylonian exile, from his vantage point in the post-exilic early Second Temple Period, and attempts to "update+? the older historiographies of Samuel and Kings in order to elucidate their meaning to the people of his own time. In The Chronicles of the Kings of Judah, Yigal Levin does the same for the modern reader. 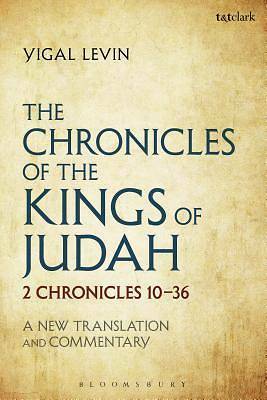 He offers a brand-new translation and commentary on 2 Chronicles chapters 10-36, tracing the "sacred history+? of the monarchy from the division of Solomon's kingdom to the final exile and return. Each chapter is translated from the original Hebrew into an English that is both faithful to the original and easy for the modern reader to follow. Extensive footnotes provide full explanations of the translator's choices and of linguistic and literary issues, taking note of alternative versions offered by a wide array of ancient and modern versions and translations. The comprehensive commentary on each section provides historical background and explains the text both on a literary and a historical level, making full use of the most up-to-date research on the text, literature, history, geography and on the archaeological background of the biblical world. The Chronicles of the Kings of Judah is to be followed by The Chronicles of David and Solomon on 1 Chronicles 10 - 2 Chronicles 9, and then by The Chronicles of All Israel on the genealogies of 1 Chronicles 1-9 and including comprehensive essays on the book of Chronicles, its time, purposes, methods and meanings.